Ailsby Collection: National Sports Leaders Medal “For an Outstanding Achievement”. National Sports Leaders Medal “For an Outstanding Achievement”. This award is a non portable medallion and comprises of a bronze disk that is 50 mm in diameter that it is dull bronze with a gilt finish. 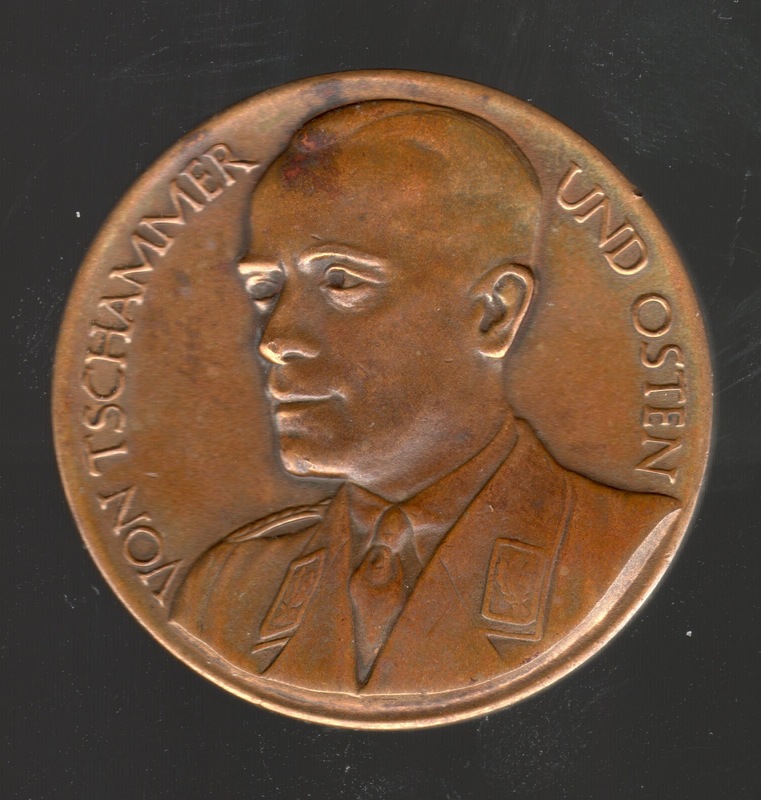 On the obverse is a bust of SA – Gruppenführer von Tschammer und Osten surrounded by his name in raised capital letters. On the reverse, is the legend in 8 lines in capital letters, “In Anerkennung einer hervorragenden Leistung. Gegeben vom Reichssportführer. This translates to; In recognition of an outstanding achievement. Awarded by the National Sports Leader. 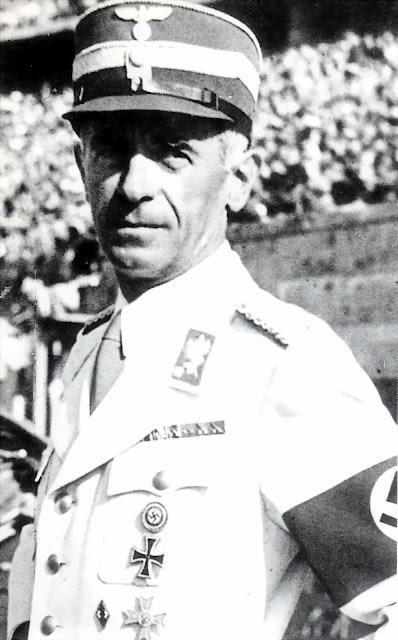 Hitler had appointed SA – Gruppenführer von Tschammer und Osten as “National Sports Leader”. In this capacity in July 1933 he instituted this non portable medallion which was to recognise outstanding contributions to the realm of sport. It was presented in a square box accompanied by a citation. SA - Obergruppenführer von Tschammer und Osten. Tschammer und Osten Hans von - SA-Gruppenführer & “National Sports Leader”. He was born in Dresden into a family of landed gentry. This gave rise to him receiving a traditional upper-class education. In the First World War he went to fight at the front. In 1929 he joined the Nazi Party and was promoted an SA Colonel in January 1931. He married Sophie Margarethe von Carlowitz. On 19 July 1933, SA-Gruppenführer von Tschammer und Osten was appointed by Hitler as “National Sports Leader”, with the goal of improving the moral and productivity of German workers. He also became a member of the Reichstag. He immediately began to promote sports and athletic prowess. Sporting skills became a criterion for school graduation and even a necessary qualification for certain jobs and admission to universities. He instituted the present-day German Football-Federation Cup. He also commissioned the publication of Sport und Staat (Sports and State), a massive four-volume Nazi propaganda report on the organized sports activities in the Third Reich. 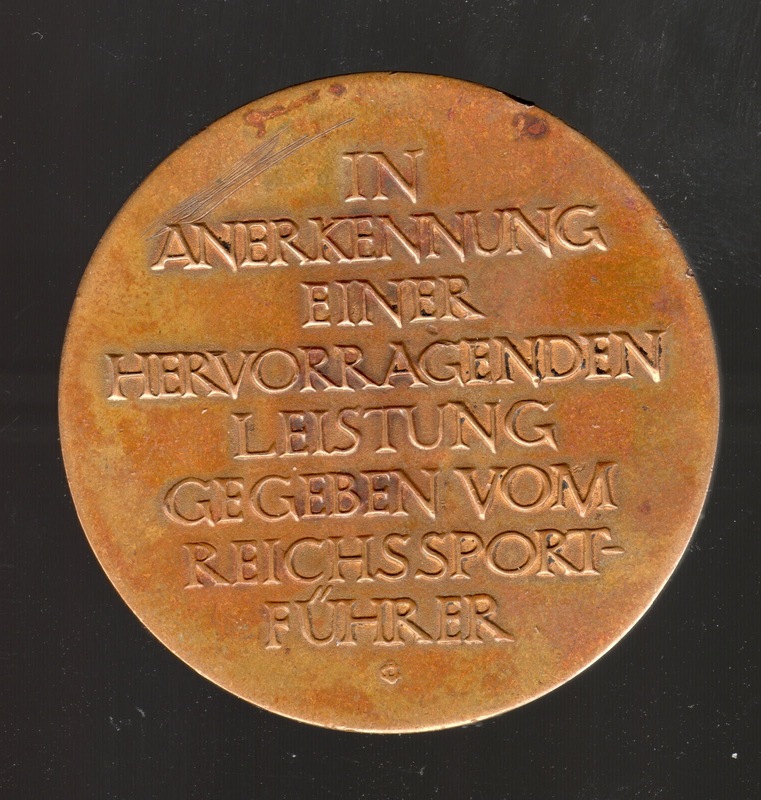 Sport und Staat was produced by Arno Breitmeyer and Hitler's personal photographer Heinrich Hoffmann. This lavishly illustrated work had many pictures and information about the various Nazi organizations, such as the SA, NSKK, Bund Deutscher Mädel and Hitler Jugend. Printed in 1934 by the publishing house of the German Sports Aid Funds, a branch of the DRL, only volume one and two of a planned series of four volumes were published. His ultimate aim was to demonstrate Aryan physical superiority. Jewish sports were confined at first to the ghetto, then by police action totally eliminated. To enable Nazi Germany to stage the Olympic Games in Berlin in 1936, His anti-Semitic program was temporarily modified. The president of the International Olympic Committee informed Hitler, after he had congratulated some German Olympic medal winners, that if he greeted one group he must greet all. Since this was not possible due to his other duties, Hitler stopped congratulating the athletes. Thus the story started that he refused to greet the great American black athlete Jesse Owens, the winner of four gold medals. Hans von Tschammer und Osten, however, would never see the end of the organization he had led for so long. He also would never see Germany lose the Second World War, for he died from pneumonia in Berlin on the 25 March 1943 and was subsequently given a State funeral on 29 March 1943. 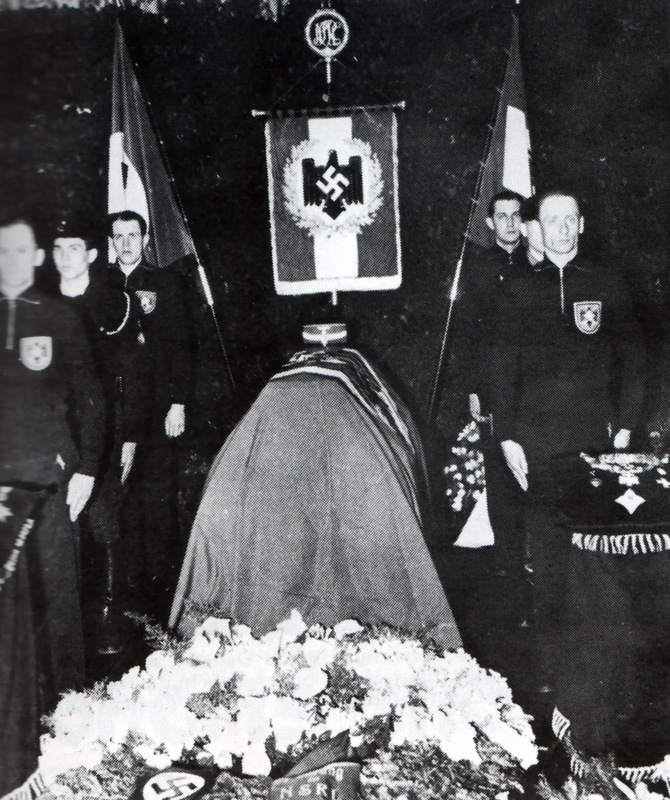 SA - Obergruppenführer von Tschammer und Osten's State funeral on 29 March 1943.